Following success from last year's programme, the 2018 programme will come back as a bigger platform to include Series A companies for eligibility. Applications are opened from now till 17-Aug-2018. HLB LaunchPad is a mentorship programme developed to nurture tech savvy start-ups in reimagining the financial services industry. It is Malaysia’s first public-private partnership between HLB, Cradle Fund Sdn Bhd (CFSB), Malaysian Business Angel Network (MBAN) and the ASEAN Angels Alliance. It aims to work with start-ups who are able to solve banking challenges or provide “out of the box” solutions that can change the way banking is performed. 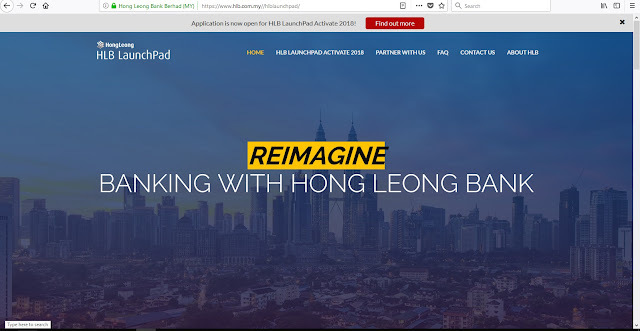 Selected start-ups will stand to win cash prizes of up to RM100,000.00, receive valuable insights and mentorship from HLB’s senior leadership teams and gain access to the wider Hong Leong Group in Malaysia as well as in the region.